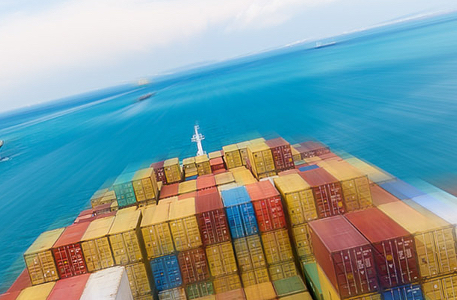 Jim Sims delves into the Blue Economy, a concept whose purpose is to promote both philosophies and practical steps for economic growth linked to the marine and maritime economy. Topical, due to current environmental concerns, the preservation and economy around the marine world is on everyone’s mind, especially the Piraeus Blue Growth Initiative (BGI) that promotes Blue economy innovation and entrepreneurship. The origins of the Blue Economy concept can be traced back to the mid 90’s, when the Belgian businessman turned author, Gunter Pauli, was asked by the United Nations to think about innovative business models of the future. More complex economic philosophies which draw on a range of ‘circular economy’ concepts and frameworks to deliver growth in such a way which preserves, maintains and enhances the marine environment (and therefore delivers more significant, long run benefits to society). The latter concept is an ever-evolving model, which has come to particular prominence recently, over growing concerns about the invasive impact of single use plastics on the marine environment. In 2012 the European Commission estimated that the Blue Economy represented over 5 million jobs and a gross added value of around €500 bn per year – a figure which is roughly equivalent to 4% of the EUs total economic output. It also affects a large number of the EU residents with an estimated 40% of the EU population living within 50km from the sea. Over the last decade, some member states have seen the Blue Economy grow faster than their national economies. One city that has been at the forefront of trying to stimulate innovative, new Blue Economy businesses is the city of Piraeus in Greece. 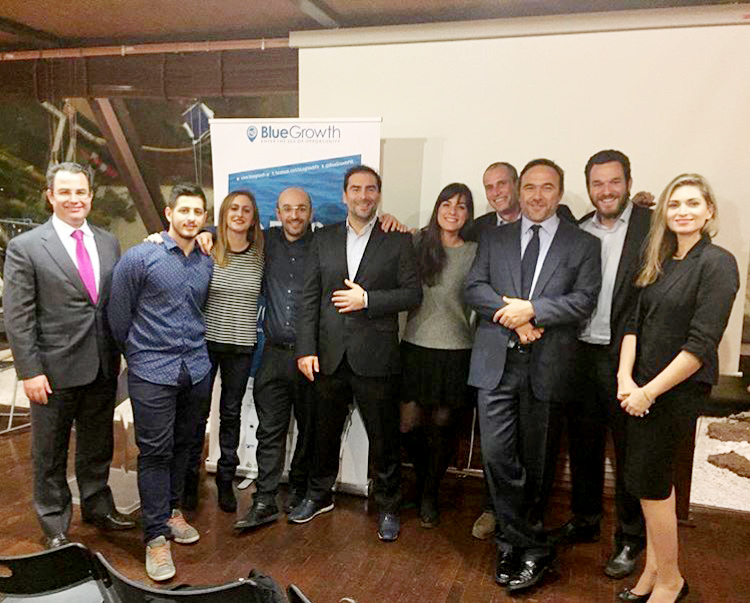 The Piraeus Blue Growth Initiative (BGI) is a structured entrepreneurship and innovation competition focussing on the marine and maritime economy. It was the first EU level innovation competition for the marine and maritime economy (Blue Economy) originally established in 2014. It was successfully awarded an URBACT Good Practice status, last year. The BGI helps early-stage entrepreneurs develop and realise innovative business concepts and create jobs in the Blue Economy. Operating as an annual business plan competition, the initiative is effectively a programme of activities to help aspiring Blue Growth entrepreneurs get ‘investment ready’ – to effectively prepare their business ideas to the stage where they can secure external investment. Governance: Establishment of a strong multi-agency Blue Growth governance structure for overseeing the delivery of the programme. Ongoing celebration and promotion: to build the profile of the exercise, to recreate it again the year after. Having been awarded with the URBACT Good Practice Label, the City of Piraeus was subsequently successful in securing funding to work with Burgas in Bulgaria, and Matosinhos in Portugal, to explore the potential to establish an URBACT Transfer Network, to examine how best to transfer the programme to seven other cities across Europe. This process will conclude in October this year when Piraeus submits its application for Phase 2 of the URBACT Transfer Network programme with its seven partners cities. 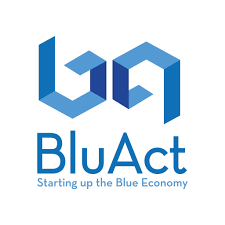 If successful, this project could establish a pan-European Investment Readiness programme for aspiring Blue Growth Entrepreneurs and a network of cities keen to build on their marine and maritime assets. What makes this URBACT project particularly timely is that the European Commissioner for the Environment, Karmenu Vella, announced at the 2018 European Maritime Day in Burgas, that DG Environment, Maritime Affairs and Fisheries is building a European investment platform dedicated solely to the blue economy. That the European Maritime and Fisheries Fund will focus on ‘promoting the blue economy in fisheries and aquaculture, tourism, ocean energy or blue biotechnology, in coastal communities, at EU level to provide real EU added value by encouraging EU governments, industry and stakeholders to develop joint approaches to drive growth, while safeguarding the marine environment’. That ‘the InvestEU Fund will play an important role with financial instruments for market related action, in particular by supporting a thematic investment platform for research and innovation in the Blue Economy’. The same document goes on to explain that one particular element of the EUInvest Programme InvestEU Assistance will be established by partners, to provide advisory support and accompanying measures to foster the creation and development of projects, helping projects get off the ground and make them investment-ready. However, InvestEU Assistance will need to reach deep into the Blue-Growth entrepreneur community across Europe, if it is to be successful at stimulating innovative, new businesses ideas that possess the potential to add value to the European economy. That’s where a close integration with initiatives like Piraeus’ Blue Growth Initiative can really help. An increasing sea of opportunity? It’s actually a little-known fact, but the word ‘opportunity’ comes from a Latin seafaring phrase, ‘ob portus’, which is made up of the terms ob, meaning “toward”, and portus, meaning “port”. The word came about, because sailors used to have to wait for the right combination of wind, current, and tide to successfully sail into port. They had to seize the right opportunity. Today, the opportunity presented by the Blue Economy across Europe is significant and growing. Despite the well-developed nature of the blue economy, there is a scope to further increase its productivity, potential and contribution to the European economy. 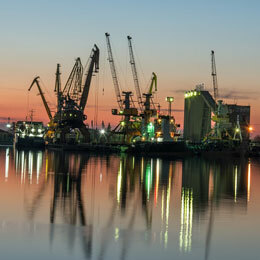 Whilst a wide range of opportunities exist to further this aim, expanding Piraeus’ Good Practice in the field of Investment Readiness to a range of other cities across Europe and connecting this into a central Investment Platform like the one being developed by the Commission will help to establish a coherent cross-sectoral strategy to tackle one of the major obstacles to growth in the sector.